Check out the latest PVS Newsletter, Office E-blast, Round-Up News Release, and ASB Student Report. Welcome to Pacific Valley School! We are located in Monterey County on Highway One in Big Sur, California. Nestled between the Los Padres National Forest and the Pacific Ocean, our surroundings foster a proud tradition of environmental awareness. Our school offers comprehensive educational programs based on the highest academic standards that meet the needs of our preschool through twelfth-grade students. We’re very pleased that you’re taking the time to visit our online home. While you’re here, we invite you learn more about our district, our school, our programs, and our team members who work together to provide an exceptional educational experience for our students. We are also happy to speak with you about our school in person, so please contact us for more information. On behalf of the governing board, staff, and students, I would like to welcome you to our website. 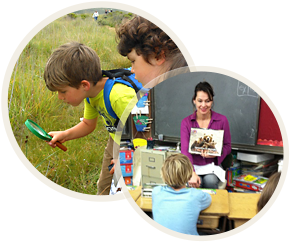 Throughout this site, you will find information that will help you become better acquainted with our unique small school and district, which you will find on the remote and beautiful south coast of Big Sur, California. We invite you to join our hard-working educational team that succeeds together in providing quality education, empowering all students to become concerned citizens who will make positive differences in our world community. We place a great deal of value on communication between home, school, and our community. Please don’t hesitate to contact me; my door is always open!